Back in my Mother's Day gift guide I included Elizabeth Arden's Ceramide Ultra Lipsticks but hadn't yet gotten around to reviewing them - zut alors! These golden-cased lippies are well worth treating yourself to, especially if you love bold colour and an ultra-hydrating formula. It's all about the metallics with this packaging - the Ceramide Ultra lipsticks (RRP $52NZD) come boxed in silver and gold with Elizabeth Arden's iconic red door adorning the box and reinterpreted as part of the cylindrical tube design. Inside the box is a further nod to the door that started it all; it's red, red, red! The Ceramide Ultra formula delivers glossy, saturated colour and is supposed to be plumping and hydrating. I found the colour payoff of the two shades I tried to be semi-opaque to fully opaque with a lot of shine and great hydration. Volulip™, which is the plumping product used in these lipsticks, has hyaluronic acid as its active ingredient, which helps to retain moisture, something our bodies don't do so well as they age. 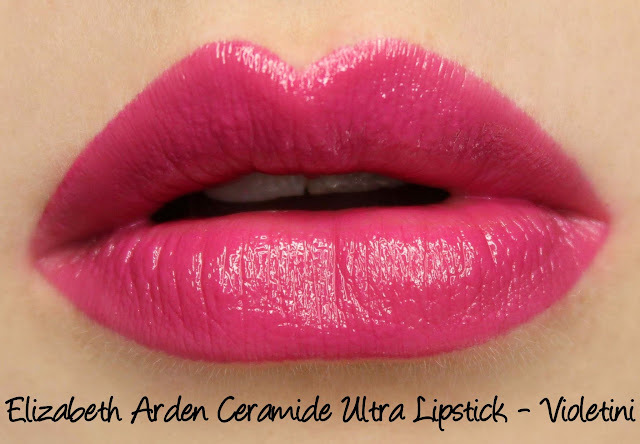 This makes the Ceramide Ulta lipsticks ideal for women who are bothered by thinning or dry lips. They feel light and creamy going on with some slip and have a very subtle fragrance - I can only pick it up if I hold the tube directly under my nose. 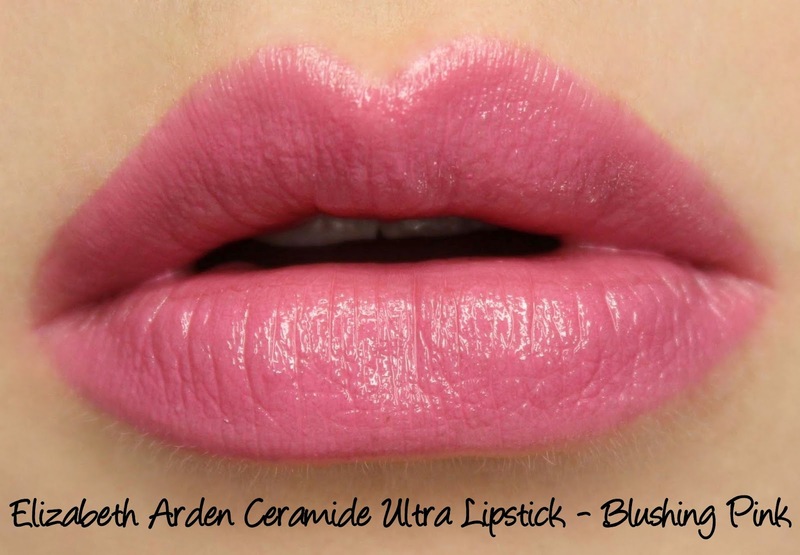 Blushing Pink is a soft cool-toned pink with mostly opaque colour coverage, there's a slight translucency to the colour, sort of like a MAC Cremesheen. I noticed a small amount of settling into lines and demarcation with this shade, although it's not noticeable from a normal viewing distance. 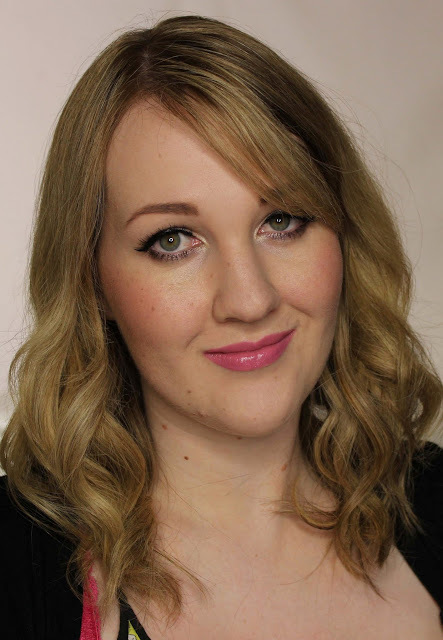 I love how fresh and pretty Blushing Pink is, it will be incredibly flattering on cool-toned folks! It wore for a little over four hours on me and was hydrating. Violetini is a medium plum shade with excellent colour payoff. 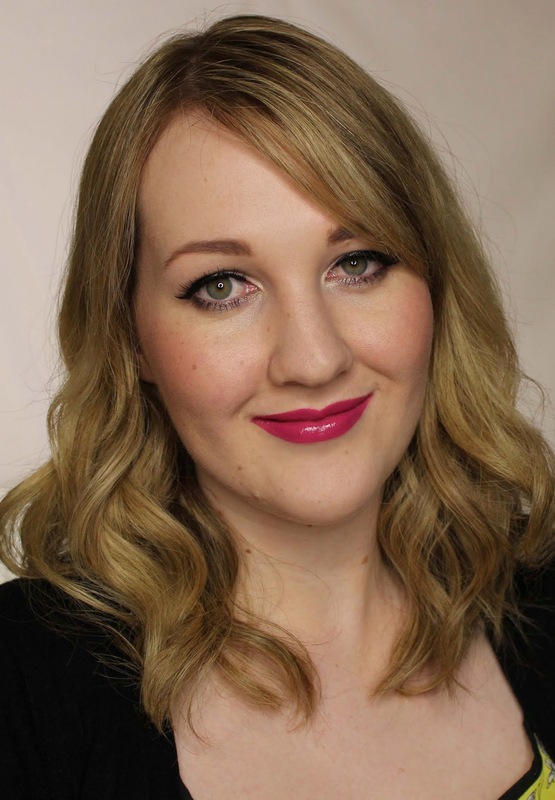 It wore for five hours without drying out my lips or feathering. Lack of feathering always impresses me with a glossy, bold colour like this (as it's so uncommon for me) so Violetini won me over very quickly! I don't think I have anything quite like it, either, the closest things I can think of - MAC Petals & Peacocks or Maybelline Hot Plum - are both pinker. Farmers and selected department stores and pharmacies nationwide (NZ). Find a store here. Have you tried Elizabeth Arden lipsticks before?